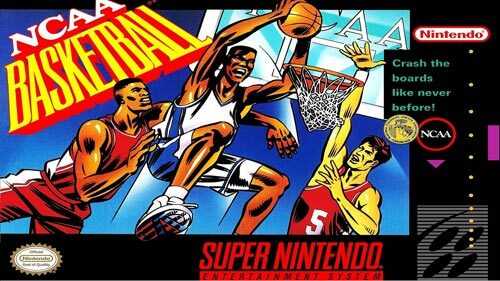 NCAA Basketball for Super Nintendo has unique over-the-shoulder perspective that puts you in the game like never before! Choose from 44 teams from five of the top NCAA conferences. When you get onto the court, there are seven offensive and seven defensive sets and strategies to choose from.